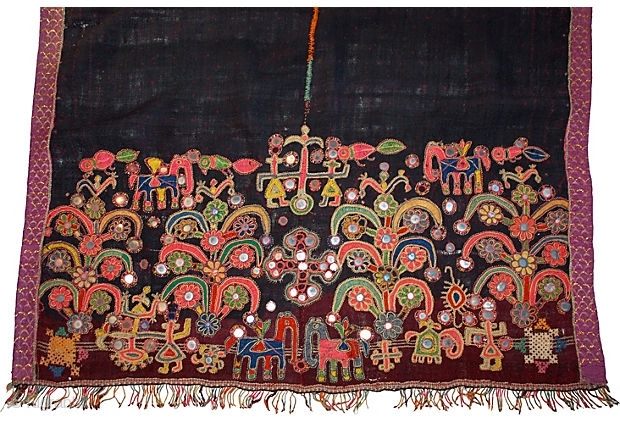 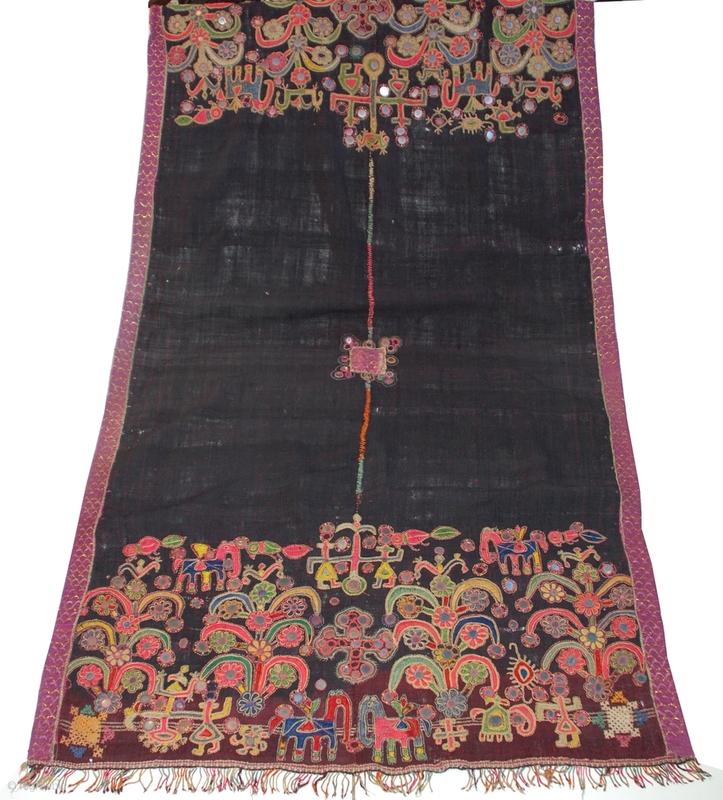 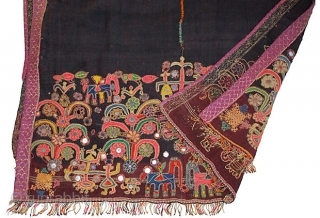 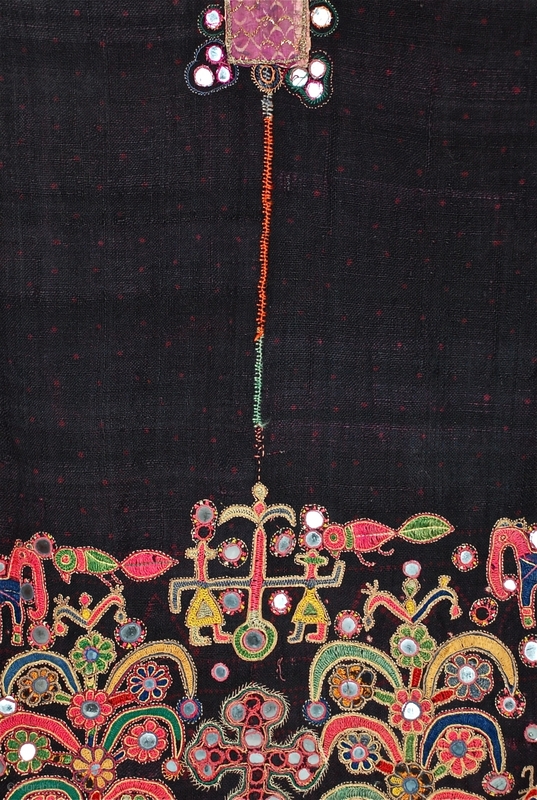 This lovely antique woolen Mutwa dowry shawl was woven by the wool weaver Meghwals of Gujarat. 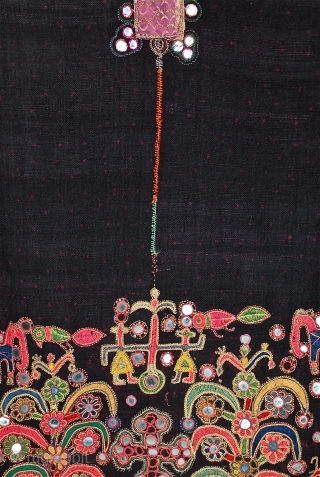 Like the Rabari, with great skill the wool is handspun and woven on a loom in two pieces and dyed with natural dyes, then the shawl is embellished with this beautiful embroidery, which takes months to create. It is a dowry wedding shawl, worn once and stored. 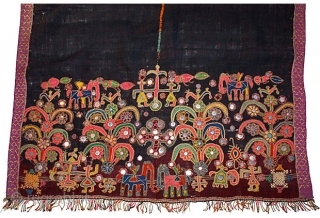 80" x 44"